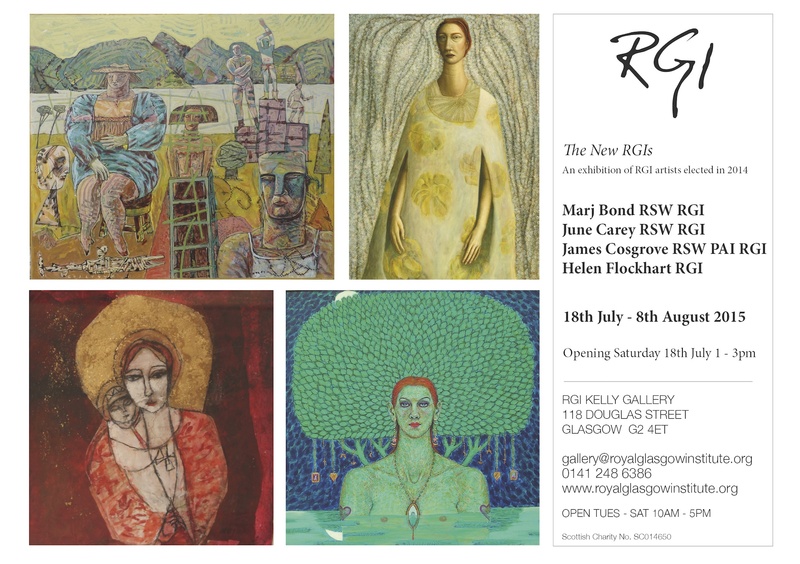 Please join us tomorrow for the opening of our new exhibition featuring Marj Bond, James Cosgrove, June Carey & Helen Flockhart, who were all elected as RGIs in 2014. The exhibition will be open all day tomorrow 10am – 5pm, with wine served 1 – 3pm for the official opening. It will run until 8 August.